Where members can find and make payments. The online payment options you create will be available to all members that have registered for an account on your website. Each member will have the ability to log in and pay each active online payment option. 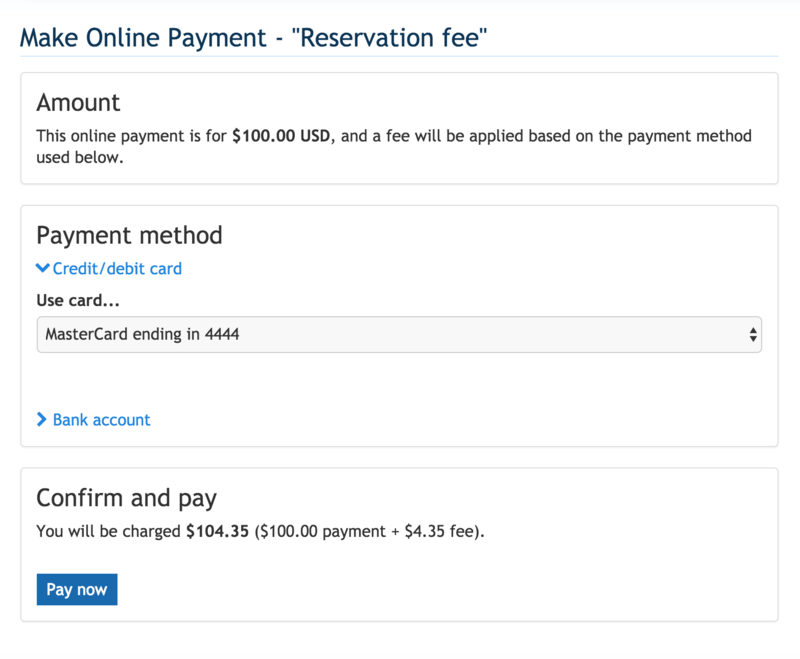 To pay an online payment option, you'll need to first log in. Once you've logged in, there will be a red notification next to the bell icon in the upper-right-hand corner. 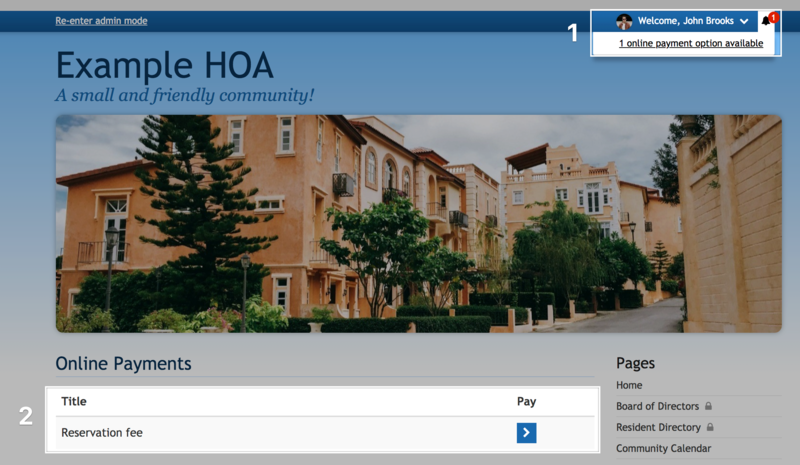 When you click on the bell icon, a drop-down will appear with a link to the payment option. Click on this link and then select the payment option you'd like to pay. Next, you'll want to select the payment amount (if applicable) and what payment method you'll be using. After you've finished, click on the blue "Pay now" button. If you've paid with a card your transaction should process immediately, while bank payments can take 3 to 5 business days to finish processing. Once your payment has completed processing, you will receive an email with a receipt of your payment.